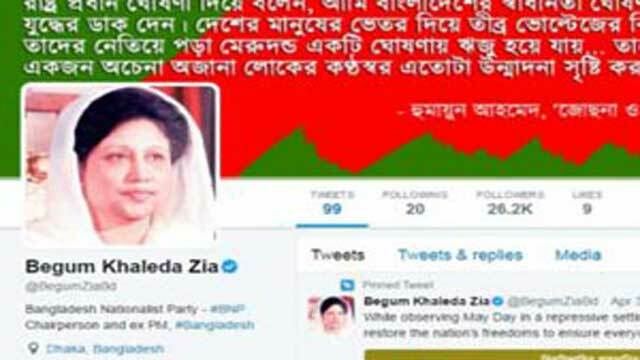 Dhaka, May 3 (Just News): Authorities of social networking service Twitter has verified the account of BNP Chairperson Begum Khaleda Zia that has 26.2 thousand followers across the world. The social media giant yesterday officially verified the account (BegumZiaBd) which was opened on September 1, last year. On the same day, the BNP chief opened her official fan page and personal accounts in different social media platforms including most popular Facebook and Youtube.